1a. Training should emphasize grounding in the empirical literature on psychopathology, assessment, and treatment. Within the treatment research literature, training should emphasize three facets: (1) client and therapist characteristics, (2) process variables, and (3) outcome. For each of the facets, students should be exposed to findings that cut across different theoretical orientations as well as those that are unique to particular approaches, and exposed to findings that demonstrate the impact of sociocultural, demographic, and other contextual factors on clinical practice. In addition, both positive and negative effects associated with each of these three facets of research should be covered in the provision of readings and coursework. Training of students should focus not only on what to do in order to facilitate client improvement but also on how to prevent harmful effects (Castonguay et al., 2010), in line with ethical principles in clinical psychology. 1. Client and therapist characteristics refer to factors that are independent of specific treatment approach. Some of these variables have been found to have an impact on the process and outcome of different forms of therapy, such as client’s high level of perfectionism. Other pre-treatment characteristics, such as reactance level (the tendency of a person to oppose being controlled by others) might be considered as markers for matching individual clients with particular forms of therapy or therapeutic styles (Norcross, 2011). Sociocultural and demographic client factors, both observable and non-observable, may also have an impact on the process and outcome of therapy (Pachankis & Goldfried, 2004; Sue & Zane, 2009). These include but are not limited to the client’s age, gender, country of origin, socioeconomic status, ethnicity, religion, language, sexual orientation, and sexual identity. Beyond cultural knowledge and culturally adapted treatment strategies and processes (Bernal, Jimenez-Chafey, & Domenech Rodriguez, 2009; Bernal & Domenech Rodriguez, 2012; Hays & Iwamasa, 2006; Hwang, 2006; Lau, 2005), therapists should also be trained to consider within-group heterogeneity among diverse clients, and to refrain from presupposing a client’s sociocultural values even if seemingly appropriate (Sue & Zane, 2009). Students should also be informed about research on therapist effects, as well as the evidence pointing to therapist characteristics that may facilitate (e.g., emotional well being) or interfere (e.g., hostility toward the self) with the process and/or outcome of therapy. 2. Process variables refer to factors that take place during treatment and that can predict or explain therapeutic change. Participant characteristics such as the therapist’s empathy and the working alliance have been positively related to change in several theoretical approaches to therapy (Norcross, 2011). Similarly, a number of therapeutic events (e.g., increased client’s awareness) have been found to be helpful by both client and therapist. The process literature also indicates that helping skills (e.g., reflection of feelings) are useful in training students to conduct therapy (Hill, Stahl, & Roffman, 2007). In addition, process research has identified variables that are predictive of outcome in particular forms of therapy, such as the use of homework in cognitive behavioral therapy (CBT), accurate interpretations in psychodynamic therapy, and the deepening of emotion in humanistic therapy (see Castonguay, 2013). Reframing interventions (e.g., changing client’s view of presenting problem from an individual to an interpersonal perspective) has also been linked to the process of change in systemic approaches (see Boswell et al., 2010). Moreover, students should be informed that core constructs of a specific type of treatment may predict the change in other orientations. For example, the fostering of experiencing (emphasized in humanistic therapy) and the focus on the past (central to psychodynamic treatment), have both been associated with outcome in CBT (Castonguay, 2013). 3. In terms of treatment outcome findings, students should be informed about two types of research: (1) studies investigating the efficacy and effectiveness of specific treatments, as well as (2) research on the impact of specific types of interventions or parameters that are independent of a particular treatment (“common factors”). As a result of numerous empirical investigations of specific treatment and systematic application of evidence-based criteria to outcome studies, a number of empirically-supported treatments (ESTs) have been identified (see Chambless & Ollendick, 2001). These evidence-based criteria (e.g., random assignment to treatment conditions, adequate statistical power to detect meaningful differences between treatment and comparison conditions, independent evaluation of outcomes by raters unaware of treatment condition; Chambless & Hollon, 1998; Silverman & Hinshaw, 2008) evaluate aspects of study design and research methodology that increase confidence in conclusions that are drawn about the efficacy of an intervention. When available for a condition or problem, ESTs should be taught early and used preferentially. The preferential use of treatment approaches supported by empirical evidence rests on the assumption that effective treatment should be implemented as early as possible in order to interrupt continuation or progression of the problem (i.e., to reduce harm and suffering and to enhance well-being). ESTs are available for numerous treatment modalities, including group, couples, and family therapy formats. Given that ESTs currently have the best available evidence, the patient has the greatest chance of clinical improvement and potential recovery with these methods. In relation to principle 1a, some researchers have conducted trials to examine whether clients from different racial/ethnic groups respond differentially to empirically supported treatments while others have focused on making cultural adaptations to ESTs (Bernal, Jimenez-Chafey, & Domenech Rodriguez, 2009; Bernal & Domenech Rodriguez, 2012; Hays & Iwamasa, 2006; Hwang, 2006; Lau, 2005). The limited existing studies suggest that treatments are effective when applied to ethnically diverse populations, especially when they are adapted to the meet the needs of the specific group (Aguilera et al., 2010; Chen et al., 2007; Comas-Díaz, 1981; Fujisawa et al., 2010; Interian et al, 2008; Matsunaga et al., 2010; Molassiotis, et al., 2002; Nakano et al., 2008; Ono et al., 2011; Rossello et al., 1999, 2008; Wong, et al., 2002; Wong, 2008; Zhang, et al., 2002). However, the need for such cultural adaptations is an empirical question and may not apply in some cases or be available as yet in others. A key aspect of training would be to teach students to consult the literature to determine when adaptations are needed for particular subgroups rather than relying on assumptions about the need to modify ESTs. For example, contrary to popular belief, findings from the child treatment literature suggest that ethnic minority status does not moderate treatment effects (Huey & Polo, 2008). Designs that compare culturally adapted and standard ESTs are still needed for many different sociocultural groups to more fully evaluate the need for specific treatment adaptations. Although the field still awaits controlled trials for many diverse groups (e.g., LGB-affirmative approaches), in the meantime students should be trained to draw on the extant empirical work (e.g., combining LGB-specific empirical findings with existing ESTs for the general population) in order to improve our treatment of these groups (e.g. to address LGB-specific presenting issues) until results from such studies are forthcoming (Pachankis, 2009). Fortunately, ESTs are not restricted to one theoretical orientation. As an example, the literature on treatment of depression (one of the most frequent presenting problems) notes that cognitive, behavioral, interpersonal, psychodynamic, and experiential treatments have been identified as empirically supported (Follette & Greenberg, 2006). Students should also be exposed to forms of therapy that have not yet been identified as EST but have showed positive, albeit preliminary, results, such as different types of integrative therapies for depression and generalized anxiety disorder (see Castonguay, 2013), acceptance commitment therapy for depression (see Follette & Greenberg, 2006), and psychodynamic therapy for panic disorders (Milrod et al., 2007). Training should include teaching doctoral students how to access information regarding evidence-based treatments from trusted sources as well as how to proceed in the absence of established treatments (Straus, et al., 2011). Training should also include information about potentially harmful treatments (e.g., group treatment for conduct disorder; Critical Incident Stress Debriefing for post-trauma survivors, repressed memory therapy, Lilienfeld, 2007). Similarly, preference should be given to assessment methods that have demonstrated validity (Bossuyt, et al., 2003), recognizing that continued use of assessment methods that lack demonstrated validity always add cost and may result in less valid clinical decisions or even harm (Kraemer, 1992). An important consideration is whether the assessment method has been validated for the particular sociocultural group or in the language that it is being used. In addition to receiving training in treatment models that have received empirical support, students should learn about patient-focused research, which is designed not to measure the impact of a treatment but to assess and improve the progress of individual clients (or the pattern of change of specific groups of clients). For example, this facet of the outcome literature includes studies demonstrating the effect of therapy “dose” on outcome, examination of phases of therapeutic improvement, and empirical consideration of the beneficial impact of therapist feedback (especially to reduce harmful effects). Patient-focused research is part of a larger body of empirical studies that have been conducted in naturalistic settings and with the active participation of clinicians. Called practice-oriented research (Castonguay, Barkham, Lutz, & McAleavey, 2013), this literature also includes studies on therapist effects as well as a wide array of investigations conducted in practice research networks. Practice-oriented research should be presented to students as equipoise and complementary to studies conducted in controlled environments, with both type of research being viewed as necessary in building a robust knowledge base and improving clinical practice (Barkham & Margison, 2007; Barkham, Stiles, Lambert, & Mellor-Clark, 2010). This training model changes the traditional role of the supervisor. In addition to the conventional aspects of supervision, the proposed model entails more guidance about searching the literature, critically appraising findings in terms of validity and relevance to the specific client/patient, including taking into account the client’s sociocultural and demographic context, and applying the findings to the case at hand (Straus, et al., 2011). There is also substantial value in having supervisors model the skills of search and application and “thinking aloud” about the process with supervisees. We also advocate adopting a patient-centered approach to learning that has been well-developed in Evidence-Based Medicine (EBM, Straus, Glasziou, Richardson, & Haynes, 2011, Hoge, Tondora, & Stuart, 2003). 1b. Students should, in their training, have enough knowledge of rigorous methods of both quantitative (e.g., randomized control trials, single-subject designs, process-outcome studies) and qualitative analyses (e.g., task analysis, consensual qualitative research, comprehensive process analyses) in clinical psychology in order to become expert consumers of the research literature. Students should have enough foundational knowledge in research design and analysis to be able to evaluate the quality of the published research. Learning standard methods for critically evaluating designs and publications (e.g., consolidated standards of reporting trials (CONSORT), STARD, meta-analysis reporting standards (MARS), Preferred Reporting Items for Systematic Reviews (PRISMA) & journal article reporting standards JARS (American Psychological Association, 2010; APA Publications and Communications Board Working Group on Journal Article Reporting Standards, 2008); Bossuyt, et al., 2003; Moher, Liberati, Telzlaff, & Altman, 2009; Moher, Schulz, & Altman, 2001) can facilitate consistent and rapid evaluation. Training in research methods should also include training in fundamentals of clinical research ethics, epidemiology, measurement, statistical analysis, and skills for comprehending systematic reviews and meta-analyses. Readings should include exposure to informatics and database searching skills. The inclusion of reading on clinical significance is particularly important in research training in Clinical Psychology (e.g., Kazdin, 1999). Model research training will include specification of the full diversity of methodologies that have been used to study psychopathology, assessment, prevention, and treatment [including efficacy, effectiveness, and practice-oriented studies] with articulation of the pros and cons of each design with respect to internal and external validity. Clinical research ethics are a critical aspect of this training to ensure the protection of human subjects, and that the well-being of research participants are not compromised in any way to enhance research design (e.g., through use of a no treatment or waitlist control condition for conditions that require immediate treatment) (Hoagwood & Cavaleri, 2010). Like all other healthcare fields, Clinical Psychology most values research that is ethical, replicable, generalizable, and where possible, able to establish cause-and-effect. These values should be reflected in clinical research training for evidence-based practice. 1c. Students should be taught to collect data throughout treatment to evaluate the effects of treatment on the individual patient (Powsner & Tufte, 1994), make data-based decisions about modifying or terminating treatment taking into account patient response (Lambert, Hansen, & Finch, 2001), and to consider not only symptom presentation but level of impairment and quality of life when making these decisions (Frisch, 1998). A salient component of data-collection is assessment of the patient’s preferences for treatment, as these will guide treatment planning and influence individual responses to specific interventions (Kraemer, 1992; Straus, et al., 2011; Swift, Domenech Rodriguez, &Bernal, 2011). Ideally, students would also have exposure to program evaluation, as a way of thinking about patterns and outcomes at a clinic- or system level, in addition to individual patient-level outcomes (Castonguay, et al., 2013). 1d. Students should be taught how to link assessment and treatment. Assessment is clinically relevant when it addresses one of the 3 P’s of prediction, prescription, and process (Youngstrom, 2008). 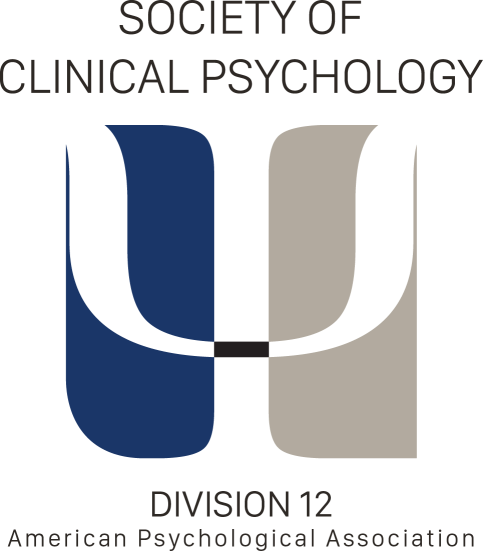 Included in recommended instruction is training on assessment issues and psychometrics, teaching students to consider the reliability and validity of measures, focusing training on the best validated measures for each clinical purpose and for the given population, and helping students to integrate findings from different sources of assessment, particularly when obtained findings appear discrepant (DeLosReyes & Kazdin, 2005). Assessment and treatment ideally are tightly integrated, with assessment guiding clinical decisions about the next action in treatment. Decisions about where to focus training should start with the most common presenting problems, and then look to the commonly used measures addressing these domains (Camara, Nathan, & Puente, 1998), and critically evaluate whether new data suggest that an alternate measure might have greater validity for a particular purpose or group (defined by demography, cultural, or clinical factors). Recent advances in technology and in the research base make it possible now to integrate methods that focus on individual probabilities of key clinical variables. Training should aim for sufficient “numeracy” (Gigerenzer & Goldstein, 1996; Gigerenzer & Hoffrage, 1995) and competence with concepts and interpretation that doctoral students can use these methods appropriately in providing care , even if not all programs emphasize the statistical underpinnings of these approaches. For example, it would be helpful for graduates to understand how a Receiver Operating Characteristic (ROC) analysis measures a test’s performance at separating one diagnosis or condition from others (Grove & Meehl, 1996; Grove, Zald, Lebow, Snitz, & Nelson, 2000; McFall & Treat, 1999; Swets, Dawes, & Monahan, 2000), and be able to gauge whether the study design was valid for examining diagnostic performance (Bossuyt, et al., 2003). It is possible that research-oriented programs would be more likely to teach signal detection theory, ROC, logistic regression, and other methods as part of their research design or statistical analysis curricula, so that students learn how to generate the results as well as evaluate them. All programs should offer grounding in basic definitions of psychopathology, basic research on human development, interpersonal and social processes, as well as various dimensions of individual functioning (physiology, cognition, affect, and behavior).